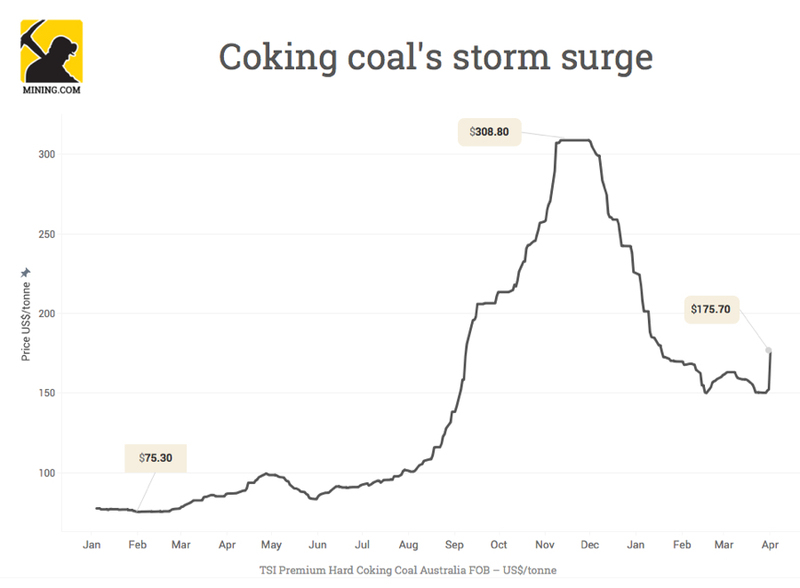 The met coal price spike come on the back of major disruption to Australia’s coal exports. Australian cargoes destined for China may be disrupted for as long as five weeks as flooding associated with Cyclone Debbie has caused serious damage to some of the country’s key rail lines, particularly in the north-east. A reduction in allowable work days at the country’s coal mines last year sparked a massive rally in coal prices, lifting met coal prices to multi-year high of $308.80 per tonne by November from $75 a tonne earlier in 2016.